“We have a responsibility to protect your data and if we can not, then we do not deserve to serve them,” said the founder and president of Facebook. 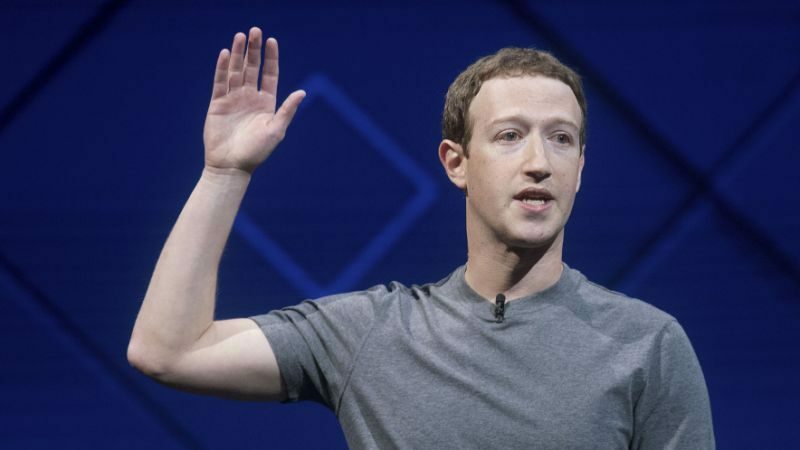 Facebook founder and president Mark Zuckerberg on Wednesday referred to the scandal of massive data leakage that surrounds his company several days ago and on which he had kept silent. “We have the responsibility to protect your data and if we can not, then we do not deserve to take care of them. I’ve been working to understand exactly what happened and how to make sure this does not happen again. The good news is that the most important measures to prevent this from happening again were taken years ago. But we also made mistakes, there is more to be done, we have to intensify and do it, “Zuckerberg said in a statement published in his state on the social network. The company’s shares fell about 7% on Monday after a series of journalistic investigations were published saying that the Cambridge Analytica consulting firm had undue access to the information of 50 million Facebook users in the United States… The collapse followed on Tuesday, with a fall of 2.56%, bringing its losses close to the US $ 60,000 million. The data would have used them for commercial purposes and to influence political contests, in particular, in the election of Donald Trump as president of the United States in 2016. In turn, he explained how a personality test application was created by Aleksandr Kogan, a researcher at the University of Cambridge. That function was installed by about 300,000 people, who shared their data and “some of their friends’ data”. He also assured that due to the way the social network worked at that time, Kogan could have access to millions of data. He also explained that in 2014, in order to avoid abusive applications, the platform had changes to limit in a “drastic” way the data to which the applications could access. “The most important thing is that applications like Kogan could no longer ask for information about a person’s friends unless their friends had also authorized the application. We also demanded that developers obtain our approval before they could request confidential data from people. These actions would prevent any application like Kogan from accessing so much data, “he said. Zuckerberg acknowledged that in 2015 he received warnings from journalists of the British newspaper The Guardian, that Kogan had shared their application data with Cambridge Analytica. According to him, at that time they banned Kogan’s application and demanded that they formally certify that they had erased the data they had improperly acquired. However, according to the president of the social network, his company was surprised by the recent reports of The Guardian, The New York Times and Channel 4 television, in which it emerged that Cambridge Analytica would not have eliminated the data as it had certified. Finally, Zuckerberg declared himself “responsible” for everything that happens on Facebook and promised his users a better use of his personal data.